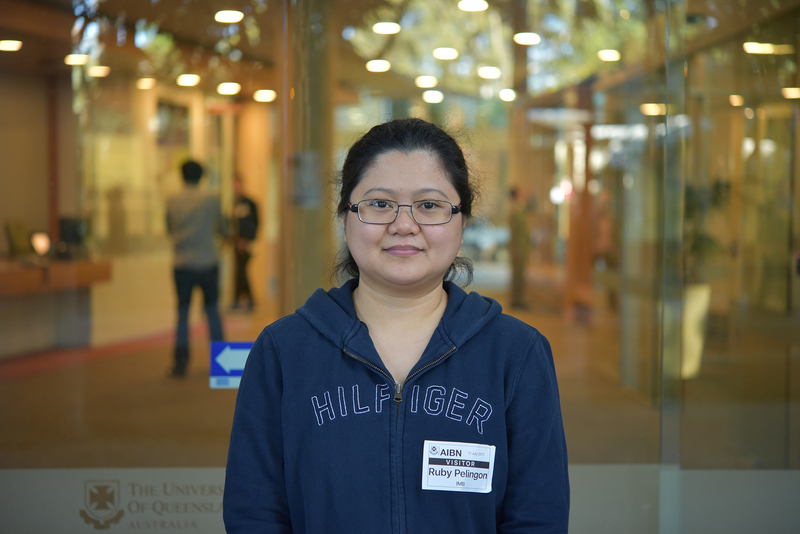 Ruby Pelingon will be joining Dr. Benjamin Schulz team at Australian Institute for Bioengineering and Nanotechnology around mid this year (2017) to study PhD titled “Engineering and production of recombinant proteins with appropriate glycostructures for early in vivo studies”. Currently, she is still working at Institute for Molecular Bioscience, with the Cooper group, as a research assistant undertaking ADME/PK studies for the NLRP3 inhibitor project. Prior to this, Ruby worked at Interphil Laboratories responsible for analytical method development and validation. She received her Bachelor of Science in Chemistry degree from Silliman University.